Puerto Rico is blessed with an average annual temperature of 82 degrees, and in this U.S. commonwealth you won't be slowed down by customs inspections or foreign currencies. The latest census figures show that over 4 million persons per year visit Puerto Rico to spend their vacations. This has resulted in remarkable construction growth of hotel rooms and 'paradors'. Current hotel occupancy rates stand at 84%. The amount of tourist activity continues to increase every year. Tourists are also discovering other portions of the island that until recently went unnoticed. One such area is Western Puerto Rico (Porta del Sol). An area of particular interest to tourists is the Northwestern portion of the island (Rincon, Aguada, Añasco, Aguadilla, Isabela, and Quebradillas). Many Americans are buying property in this portion of the island, due primarily to the low cost of living, and the scenic beauty of the area. Most individuals are purchasing either retirement properties, or vacation properties. A steady flow of increasing tourism and investment dollars is spreading toward the southwestern portion of the island as well, including the municipalities of Lajas and Guanica. Guanica in particular, with its beautiful arid region and scenic beaches is currently experiencing an investment boom. This is because the entire west coast offers the beauty, solitude, and laid-back atmosphere that many 'mainlanders' seek. Many recreational activities are starting to appear in this portion of Puerto Rico. Fast food restaurants such as McDonalds, Burger King, Wendys, and others, are being built at a rapid pace. Hotel/Motel chains such as Holiday Inn, and Best Western are slowly making their way into Western Puerto Rico also. Public beaches are going through a renovation and reconstruction process as well. Everything from water slides to shopping malls are starting to take root. In effect municipalities in Puerto Rico's West Coast are readying themselves for a major construction push aimed at attracting more tourism to the area. This presents a 'True Opportunity' for the real-estate investor. Carefully investing in Western Puerto Rico will result in significant long term gains in property appreciation; and significant short term gains in vacation property rental income. Puerto Rico offers the 'elbow room' many vacationers seek. Offering vacation homes, instead of regular hotel rooms, affirms this need. Benefits of a vacation home include; considerably more living space, the flexibility of being able to eat when one wants to, and choosing whether to cook for one's self, or eat out. Overall, value for the money is probably the key element. A family of four would normally pay a considerable less amount of money to rent a vacation home, than to live in a cramped hotel room during their vacation. Taking into account the benefits of vacation home living such as; a kitchen, laundry, living and dining areas, and private bedrooms; and comparing against the considerably fewer amenities and less space that a hotel room provides; leaves the obvious conclusion. 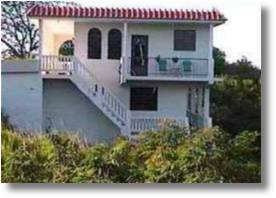 As the demand for good quality hotel/motel accomodations for Western Puerto Rico continues to grow, so will the demand for high quality 'Vacation Homes' continue to grow at a faster rate still. We at PRWest Real Estate hope that you can now appreciate why we feel this is both a tremendous investment and income producing opportunity; and a source of pleasure for you and your family. PRwest Real Estate will work with you to find the right property for your vacation, retirement, or investment plans. Whether you are looking for a vacation home away from home, a property for investment purposes, or a retirement property; we will do our utmost to find the property you are looking for. We are a fully licenced real estate broker and work with other local real-estate agents, or directly with owners when looking for a property that suits your needs. Our fees are typically paid by co-broker agreements with the respective brokers or owners. We can also represent your interests exclusively on a fee basis.